The newest American state, Hawaii is one of the world’s greatest tourist destinations thanks to its magnificent natural beauty picture, perfect beaches, warm tropical climate and dramatic active volcanoes. Apart from tourism, the state excels in sandalwood, pineapple, sugar cane and whaling industries, as well as military and educational services. Forming a company is the first step for foreign entrepreneurs wishing to open a bank account. A US bank account gives businesses access to a debit card, and the potential to open a merchant service account. Internet commerce is made much easier with a US bank account because companies like PayPal, Amazon and EBay considered you more qualified as a vendor. Hawaii requires that a C corporation or an LLC must not have a name that is the same or could be confused with a business already in existence. To make sure your business name is eligible Inc. Plan can help you select a unique C-Corp or LLC name. A distinctive corporate name enhances your company’s reputation and also helps protect the identity of your brand. In Hawaii, the type of business entity you choose determines the nature of the charges your incorporation will be subject to. C corps are assessed taxes based on the net income of the business. LLCs are subject to taxes based on its members’ personal income return. There is no legal specification which implies that business owners choosing to form a company in this American state must own a Hawaii physical address. However, before your firm is legally eligible to operate, make sure you possess all the required business licenses, permits, and tax registrations. If you need help, Inc. Plan can help you with all the hassle. The number of C Corporation members must be directly proportional to the number of shareholders and directors must be at least 18 years old. However, there are no age restrictions imposed for LLCs, and the number of members must be at least one, regardless of the number of shareholders. The names and addresses of members are not required to be listed in the incorporation documents. LLC names must end with the term “Limited Liability Company” or the abbreviations “LLC” and “L.L.C.”. The term “Bank” or any of its variations needs an approval from the Commissioner of Financial Institutions. 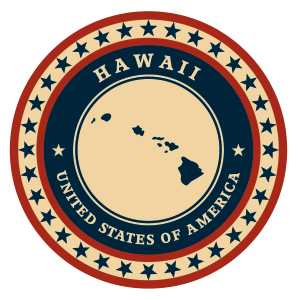 Any use of words like “Partners” or which indicates geographical locations, used inside the corporation name is prohibited in Hawaii. If you decide to form an LLC in Hawaii, then the formation document you are required to file is called the Articles of Organization. Additionally, Hawaii-based LLCs are required to submit an annual report which has a due date tied to the incorporation date. You can contact Inc. Plan for a 30 minute consultation to find out more information on the filing requirements. The Articles of Organization must contain the name and address of a registered agent which resides in Hawaii, and which is available to manage legal and tax business documentation. For more help with the incorporation filing or for registered agent services feel free to contact Inc. Plan (USA). Hawaii LLCs are not taxed based on the company’s net income but based on its members’ taxable adjusted gross income. Therefore, for tax purposes, Hawaii LLCs are treated as partnerships. However, you can choose your LLC to be taxed as a C Corporation. Each of the 50 American states has its requirements for incorporating. The essential requirements for C- corporations established in Hawaii are as follow. The names of incorporations in Hawaii must be unique and can use the endings “Incorporated”, “Corporation”, “Limited”, along with their abbreviations. However, if the name contains the terms “Bank” or any variations of it, then the company needs an approval from the Commissioner of Financial Institutions. Any use of words like “Partners” or which indicates geographical locations, used inside the corporation name is prohibited in Hawaii. In order to form a corporation in Hawaii, entrepreneurs must file an incorporation document called Articles of Incorporation and an annual report which has the due date on the incorporation date. Contact Inc. Plan for a 30 minute consultation to find out more information on the filing requirements. The Articles of Incorporation require a listing of the company’s authorized shares and per value, as well as the name and address of a registered agent with a physical Hawaii address. Inc. Plan (USA) can help you with the necessary filings and also with qualified registered agent service. Corporations must pay an annual corporate tax based on the company’s taxable income. The minimum tax rate is 4.4% for incomes less than $25 000, and the maximum tax rate is 6.4% for business revenues over $100 000.